Nelson city, on the eastern shores of Tasman Bay was established in 1841. The Māori name for Nelson is Whakatū, which means ‘build’, ‘raise’, or ‘establish’. Nelson is the oldest city in the South Island. Today the city has a population of around 50,000 with a thriving arts and crafts community and a growing multicultural presence. The economy is driven by tourism, horticulture, viticulture, fishing and education. Stoke, a suburb of Nelson, is located between Richmond and Tahunanui with a population of around 17,000. 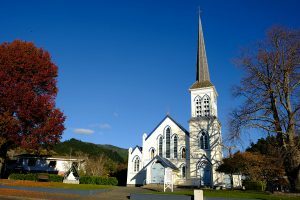 The area is one of New Zealand’s earliest Catholic settlements. 1842: Settlement of Nelson founded. Several Catholics amongst the early settlers. 1844: Early families settled in Stoke. 1844: Dr Pompallier, Vicar Apostolic for New Zealand visited Nelson with Rev Fr O’Reilly, acting parish priest in Wellington. Pompallier said first Mass in Nelson in a house in Bridge St.
1846: Fr O’Reilly visited and the ‘Company’ gave a site for a church. 1847: Fr O’Reilly visited and ‘aided by subscriptions of the Protestants’ built a small chapel on the land, costing 40 pounds. First Catholic place of worship in Nelson opened Easter Sunday. 1848: Catholic School (later St Joseph’s) opens. 1850: Rev Dr Viard sent Fr Antoine Garin sm as first Rector of St Mary’s, arrived 8 May accompanied lay brother Claude Marie. 1850: Acre of ground in Manuka St obtained from the Company costing 35 pounds, and an adjoining acre at 45 pounds. Priests residence erected. St Mary’s School established. 1851: Fr Garin opens first secondary for boys in New Zealand, run by Br Moreau, attended by numerous Catholics and Protestants. 1856: St Michael’s Church erected. Name changed to St Mary’s later that year. 1864: Bishop Viard visited to bless the new Church of St Mary’s. 1871: Four Sisters from Our Lady of the Missions arrived from France and immediately started teaching in the Catholic school, 117 pupils. 1871: St Mary’s School for Girls (Catholic secondary school) established at Sacred Heart site (later Redwood College, which closed in 1983). Large wooden convent built. 1881: St Mary’s Church destroyed by fire. 1882: Church rebuilt and reopened on 31 December, officiated by Bishop Redwood. Non-Catholics contributed and miners from the West Coast contributed 600 pounds. 1900: St Mary’s School for Girls renamed Sacred Heart College. 1963: St Francis of Assisi Church, Songer St, Stoke, constructed as a single-story parish church. 1989: St Francis of Assisi Church renovated and expanded. 1983: Convent destroyed by fire. 2000: St Mary’s Church renovated and is classified as a Category A Historic Building. 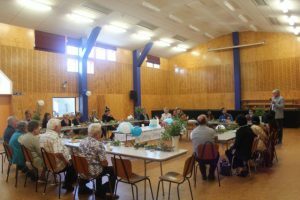 The two parishes of St Mary’s, Nelson and St Francis of Assisi, Stoke amalgamated to form The Holy Family Parish in 2016. 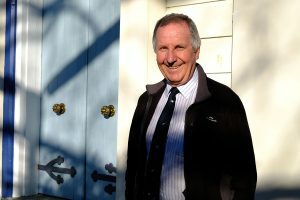 Fr Bill Warwick, who had previously worked in parishes at the top of the South Island and on the Westcoast, and more recently in Plimmerton, arrived in February 2016 as the new parish priest. ‘The community is certainly energised as a new parish and what I’m finding is its rich diversity and growing multi-cultural communities,’ says Fr Bill. ‘People are wanting to take up ministries and there are an amazing number of people who are involved in our many parish groups. ‘The heart of our parish is stewardship ‒ about welcoming and belonging and about being true to our Baptismal call. That leads to believing and sharing gifts. I’ve seen in the last couple of years how that has borne fruit. Our four weekend Masses are full – when I came here, the Mass count was around 350; now it averages around 700. 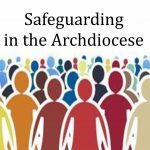 The parish strategy, based on the outcomes of last year’s Synod, has three goals: Go you are sent to accompany one another; go out to the peripheries; and care for creation. ‘Planning started in June and we are meeting again this month. People want to move with the energy of the Synod. Everything is run through our leadership teams, including pastoral, finance, and our two very strong liturgy teams, all working together,’ Fr Bill said. Lay Pastoral Leader Merrick Mitchell has a large responsibility in parish leadership. Merrick, who has had several years of formation, works closely with Fr Bill and they meet weekly as a team. Their focus is on getting to know people in the parish and in the school communities of Garin College and St Joseph’s Primary School, which they visit regularly. Merrick says, ‘One of the things I am also called to is ecumenism and building relationships with different churches. I am in contact with various church ministers in the areas in Stoke and Nelson and I’m getting to know the other faith groups here to build on our interfaith relationships. Peter Gillin, Holy Family Parish Chair. St Francis of Assisi Church, Stoke. Fr Bill Warrick (back left), Merrick Mitchell, St Joseph’s DRS Stephanie Kean and students. Antoine Marie Garin was a French Catholic Marist priest, missionary and educationalist who came to New Zealand in 1841. He was born in Rambert-en-Bugey, France on 23 July 1810. He died in 1889 and was buried at Wakapuaka Cemetery in Nelson. Fr Garin arrived in Nelson on 9 May 1850. During the next 40 years Fr Garin would contribute hugely to the development of education in the area as well as the establishment of the Nelson parish. After making his profession as a member of the Society of Mary in France, in 1840 Garin was assigned to New Zealand, where he arrived with 10 other members of the society on the Mary Grey at the Bay of Islands on 14 June 1841. 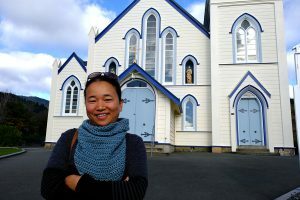 Fr Garin spent seven years in Northland converting Māori to Catholicism. He was provincial of the Marists in New Zealand from 1841 to 1843 and he was nominated several times to Rome as a possible bishop. In late 1843 Garin was sent to the Kaipara mission station at Mangakahia, near Tangiteroria. In 1847 he was appointed to the pensioner soldier settlements at Howick, Panmure and Otahuhu, where over half the families were Irish Catholics. 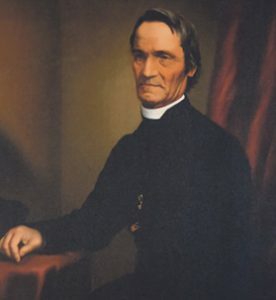 In 1850, after the quarrels between Bishop Pompallier and the Marists, Garin accompanied Bishop Philippe Viard to Wellington. He was assigned to Nelson where he remained for the next 40 years. 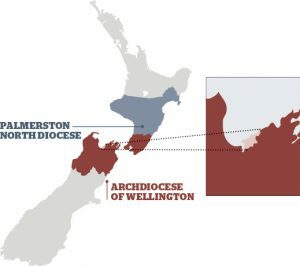 He had the pastoral care of 200–300 Catholics scattered over the huge area of Nelson, Buller, Marlborough and the northern part of the region that became Westland. He journeyed constantly to visit his people, on both foot and horseback. He was responsible for education early in Nelson’s history and opened orphanages for both boys and girls as early as 1872. In 1876 he gave lectures to the citizens of Nelson for a fee to raise funds to purchase land for a boy’s orphanage. The sum collected was thirteen pounds. Fr Garin kept daily records of parish life, along with letters he wrote to various bodies, parishioners and to his mother and brother in France. These are kept in the St Mary’s parish archives in Nelson along with other information about the priest. Fr Garin died in Nelson on 14 April 1889. He was laid to rest in the cemetery at Wakapuaka and, following his wishes, a chapel was built at Wakapuaka in his name. Garin was exhumed 18 months after his death to be reinterred in the crypt below this chapel. 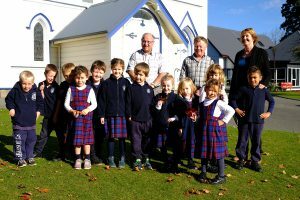 Fr Garin’s legacy lives on today through the churches that he built and in the Catholic schools of the area ‒ St Joseph’s primary school in Nelson and Garin College in Richmond. Source: Fr Merv Duffy, ‘Launch of Cause for Sainthood of Antoine Garin’, 2016. There are 12 members in the Knights of the Southern Cross in Nelson. We contribute to a leadership role in the parish and meet monthly. Discussions include spiritual development, support of priests and commenting on national Church matters. We also enjoy regular social outings and hold working bees to help others. We are always keen for new members. Call Patrick Heaphy on 027 223 0632 for more information. Faith and Light is an International Organisation reaching out to people with intellectual disabilities. It is founded on the belief that each person is fully human, with the right to be loved, recognised and respected for him or herself. Each person is unique and has a mysterious value ‒ ‘God has chosen the weak to confound the strong.’ Faith and Light monthly meetings are held at St Francis of Assisi Meeting Room, Songer St, Stoke. The group’s purpose is to encourage young people in a personal relationship with Jesus Christ and to help them live out the Christian gospel message in their daily lives. 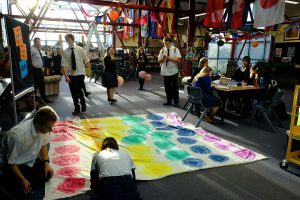 Young people aged from 11 to 18 meet for a variety of spiritual and social activities. These include prayer, scripture reading, study, discussion groups and You Tube clips about current world events and Church teachings. Social activities include table tennis, indoor soccer and netball. We meet on Fridays during the school terms, 7pm–9pm, at St Mary’s Parish Centre. Please contact Les and Amanda Schipper, who run the youth group and would love to hear from you, ph (03) 548-3250. Our community meets every Sunday, 11.30am to 1pm, at St Mary’s Parish Centre for coffee, prayer, praise and fellowship. All are welcome. On Wednesday nights we have an open meeting for adults from 7.30pm–9pm. We recently ran a Life in the Spirit seminar and are preparing to host a Mass for healing with Fr John Rea on Wednesday 8 August at St Francis Catholic Church in Stoke at 7pm. We’re also planning with the local parishes men’s and women’s breakfasts. For enquiries, phone Willie and Paula Schryvers on (03) 548-3507. Pamolo Passionist Family group welcomes and celebrates Alister Crasta at his Baptism. His parents, Vivian and Asha, were thrilled to have the Family group present, as most of their family are still in India. 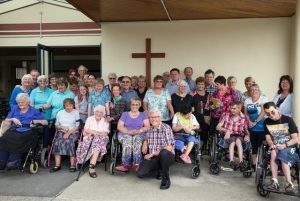 With more than 200 people in ten groups, Passionist Family Group parish members share many cultural and life experiences to create a sense of wellbeing and belonging. Gatherings include bush and beach walks, meals, games evenings, home movies, picnics and outdoor games. 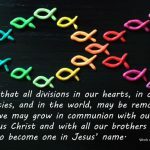 Based on the motto ‘A Family for All’ the groups provide an extended family for whoever wishes to belong, regardless of whether they are married, single or divorced and regardless of their faith tradition. Imagine a Parish where parishioners know 10 others really well! The parish is blessed to have a women’s Dove group in the Nelson area. Dove is a place where women of all ages can join together to know Christ more deeply; a place where women can minister to women in gentleness and love as exemplified by Mary. We meet monthly in the Parish Centre in Richmond and welcome new members. Contact Mary at (03) 541-0770. 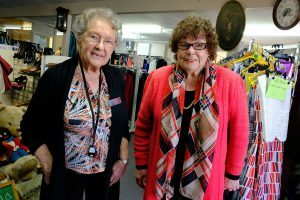 Shirley O’Brien, volunteer and Madeleine Currie, chair of St Vincent de Paul, Nelson, at St Vincent de Paul shop on Vanguard St, Nelson. 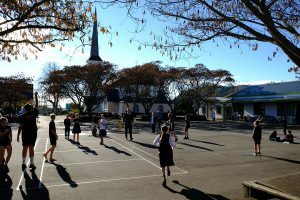 St Joseph’s Primary School is in the heart of Nelson city. The current roll is 410 students who experience a strong sense of place and cultural diversity. 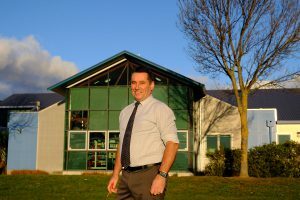 The Principal Mrs Chris Gladstone says the school is very strong on social action as the ‘Hearts and Hands of Jesus’. On Mondays the students go to help out at the local hospice. Karakia starts each school day and parents are invited to share prayers in their own languages. Another focus is on the environment by taking pride and showing respect for God’s gift to us. A highlight of the school year is drama and music performance for Holy Week. St Joseph’s is strongly connected to the parish and to Garin College. Garin College is an integrated, co-ed day and boarding secondary school. The college opened in January 2002. The college is named after French Marist, Fr Antoine Marie Garin (1810–1889) and is the only Catholic college in the top of the South Island. 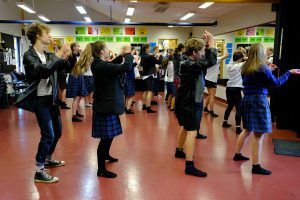 haka, music, theatre sports, wearable arts, photography and sculpture ‒ along with sporting activities. The current roll is nearly 530 students including 44 international students. 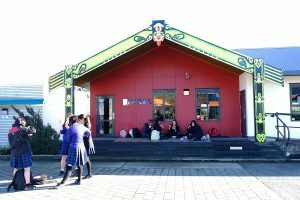 The college has a whare which was designed by staff with students helping to complete work on it. 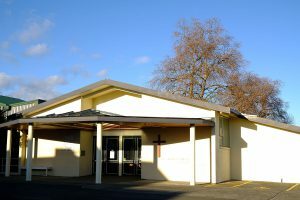 The Sisters of Our Lady of the Missions (RNDM) have been in Nelson since 1871. They established a convent and also taught in the area. 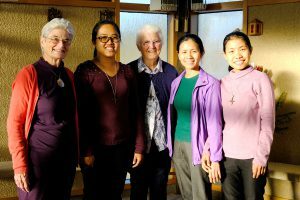 Today, the community provides support for sisters visiting from overseas to improve their English. They also support the local Catholic schools and parishes and help with the work of the St Vincent de Paul Society. Pictured from left are Srs Maria, Hilda from Myanmar, Colleen, Anna from Vietnam, and Margaret from Myanmar. Many of the large Nelson Indian community arrived as adult students striving to gain qualifications leading to better employment in Nelson and around New Zealand. 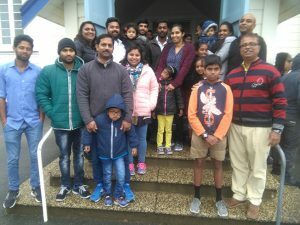 Recently an Indian Mass was celebrated and a large number of the Indian community attended. Fr Bill has been very supportive and has helped us to become part of the wider parish family. As new parishioners we have been welcomed into the parish community and actively contribute to the social and liturgical activities of the parish. I came to New Zealand from Myanmar with my two adopted sons in 2010 under the Refugee Family Category Support. We are now New Zealand citizens. I work at a primary school as a bilingual-liaison teacher aide. I am an interpreter at the hospital and for the Police. In Holy Family Parish there are about 100 people in the Myanmar Catholic community. Some are former refugees who were in camps in Thailand and Malaysia for many years. The parish is very supportive and helpful in our resettlement. 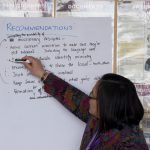 We hold home prayer groups in Burmese and Zomi languages and some of our community are preparing for RCIA with Fr Bill.